Catalog Page 32. 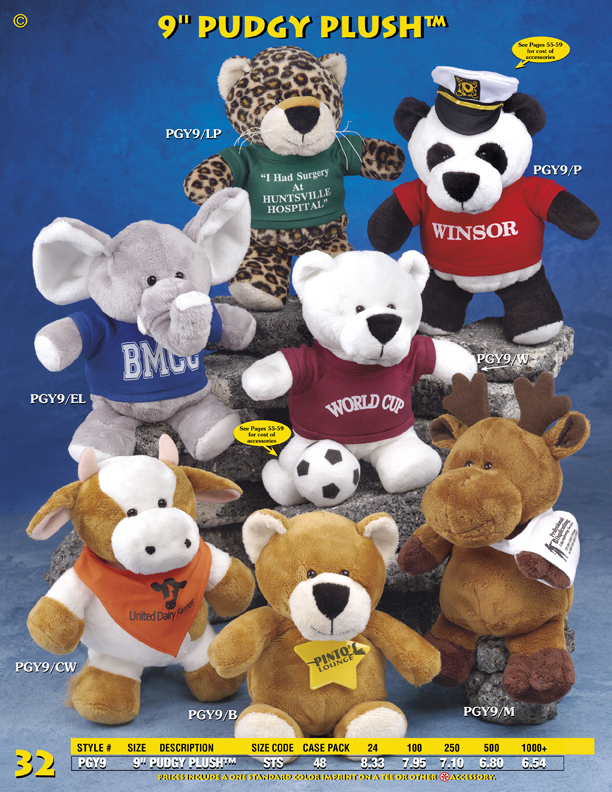 Customized 9" stuffed animals. Order plush cows, moose, foxes, and tigers. 9" Pudgy Plush Collection. Choose from many style of oversized stuffed animals including our pudgy plush elephant, panda, leopard, white bear, brown bear, cow and moose. The pricing above includes a one-color printed t-shirt or bandana. Our lead-time for production is 10 - 14 days.